B2B is at in inflection point. B2B customers are changing the way they want to engage with you. In the past, B2B customers disregarded digital channels and they expressed that B2B products and services were too complex to sell online. Customers were simply not ready or interested in using digital channels. It’s a new B2B world now - business buyers expect to purchase online and digital is the key channel for customer engagement. The digital shift has led to explosive B2B growth opportunities for those who are investing in innovation through eCommerce. Organizations who aren’t investing in digital are at a significant disadvantage. It’s table stakes now – digital investments are a key prerequisite to remaining in the game, and are critical to long-term success. 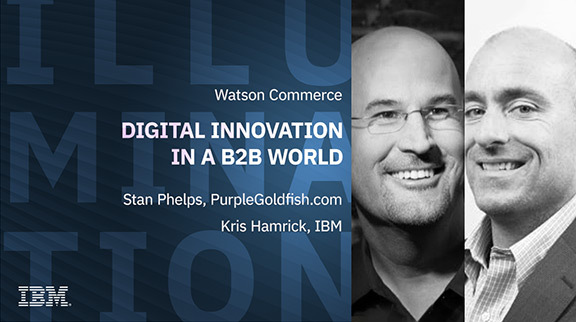 In this webinar, we'll discuss the key factors to delivering accelerated B2B digital innovation and growth.